Colorado, moving to Seattle in September! I received an Oculus Rift CV1 about a month ago, and while it's pretty 'cool', I can't say it's worth the price of entry, mostly because of the lack of touch controls / hand-tracking. Hopefully that will change in October, but for now all of the most enjoyable games out there greatly benefit from, or require, that means of input. This is easily the most fun I've had in Space Combat since Tie Fighter. The game beautifully mixes elements of tactical strategy into the intense space-fighter combat which is it's primary focus. Combat is tight and fluid. One can quickly fall into a state of "flow", linking from one target to the next, engaging drift mode and slipping past the defenses of a large capital ship, while unloading a punishing volley of torpedoes from within the target's shield radius. Missions are short, 5-10 minutes each tops. There is a constant time-pressure, as your missions are all incursion style strikes - hit and runs. Inevitably, the enemy's flagship _will_ catch up with your small incursion fleet, warping in to stop you. You are outgunned, and should quickly extract to the rendezvous point. The combat "feels" so right. The visuals are elegant, stylized, simple yet informationally dense. The audio cues are perfect: you know, without having to reference your cockpit gauges, that your secondary weapon just finished reloading, that your target just lost shields, that an enemy was just destroyed, that one of your cap ships is taking hull damage, etc. Despite the relatively short single-player campaign (6 hours), introduction of a 'Daily Challenge Mode' with competitive leader boards has kept me coming back every 24 hours to scratch the itch. Overall, I highly recommend this game. Note, it doesn't actually require VR - in fact, it was designed for both use cases from the get-go. I have only played in VR, however, so can't give my opinion on that. So, have you played? If so, what are your impressions? Some talk about it in the space thread. I think I want it but on sale. Reviews seem to say there isn't a lot of game there but what is there is fun. I do love this game so much. Everything from the music to the art style to the lore of the galaxy is awesome. I've put 5.3 hours into it based on steam and I'm not quite halfway through the missions. I'm chasing all the hardest versions of each mission though so I can buy the most expensive upgrades. Yeah, this game has hella personality. Missions are short, but man is it a complete & fully-realized package top to bottom. I have 12 hours in, I'd say in terms of dollars-per-hour it's already surpassed most other purchases. But yes, the campaign is short. Fortunately There are ~15 levels, each with 3 difficulty modes. I milked the campaign by playing each mode from easiest to hardest, although by the time I had a couple hours in could have gone straight to the hardest mode. Instead I would challenge myself with things like - lose no ships, take no hull damage, etc. This sounds like a lot of effort to go through to extend the replay value of the game. Why do it? Easy: I wanted to *be there*. Any reason was sufficient - just get me into that Executor! Perhaps the VR helped with the immersion, but honestly I think the soundscape deserves more than half of the credit. I do hope for DLC campaigns, and given the success of the game and rapidity of patches/updates would be surprised if we didn't have something within 4 months. There's no 'realtime' multiplayer (just scoreboard chases that reset daily), so you won't miss out on anything if you wait half a year to pick this one up. Now or later, do yourself a favor and experience this. After hearing what the basic concept was about back when it was Enemy Starfighter I expected it to be much longer. I think the author originally intended to use procedural scenario creation, but realized that the gameplay really required 'designed' set-piece missions to reach its full potential. It's a one-man project, I believe, so this likely meant he had to reduce scope. Quality over quantity! Note: The daily challenge does use this scenario randomizer, so in that sense, there's always more content. But I wouldn't give up the cool factor of the missions for the blander battles the randomizer produces, even if it tripled the length of the campaign. I seem to remember that there was going to be additional content coming and that this was just early access. Could be wrong. This is exactly how I've been playing it. Savoring the game is just as satisfying as beating missions. Plus when you beat something that's really hard it gives you a Dark Souls kind of buzz. You mentioned the lore, and you're right.. what a cool concept. Would love to see it fleshed out more, perhaps with a graphic-novel style a-la the original homeworld. There's *just* enough info between the Codex entries and the final mission (replayed for each ending..) to piece together the context, but it left me wanting so, so much more. Steam store still calls this an Early Access game. I'm definitely interested in this, despite generally not playing "action" games. The videos I have seen prove that this game oozes personality just as much as NF says. For some reason even though it doesn't look like it should be particularly demanding, this game doesn't run well with Super Sampling enabled at all on a 1080. I'm trading that out for a Titan so I'm curious to see if that can muscle through it. 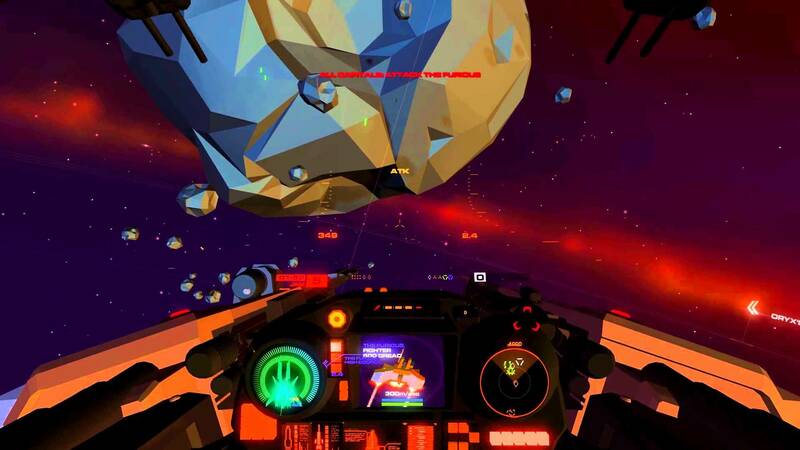 Experiencing the travesty of No Man's Sky's space combat sent me running back to HOTDS. I tried out the new Challenge Mode today and got thoroughly destroyed. I will worry about 3-starring the rest of the campaign missions before heading back there. Wonderful game. I really do hope they treat this as a platform for making new mission DLC, paid or otherwise. Hah, the more I read about No Man's Sky, the more I wanted to play House of the Dying Sun. But I wouldn't let myself buy it until I finished Quadrilateral Cowboy, and since that happened the other night: oh man oh man oh man. This game is so good. It's not my ultimate space game since it's solely a military shooter—no being a freelancer like in that one game whose name escapes me—but what it does, it does so well. Yeah, aside from looking absolutely gorgeous, the audioscape in this game is superlative. The bzzz when you're leading your target, the muted thudding of the autocannon... The radio chatter is another great example, how it's mixed with the rest of the sounds of combat, giving a feeling of life to the goings-on, but it's all informative if you listen to it. It doesn't draw attention to itself, but everything in HOTDS is as simple as needs to be, and no simpler, that the game doesn't need to throw anything in your face, since it's all so easy to absorb. I guess at this point I'm supposed to mention the content. I'd rather have a game that does something well, than does something lots. And from the minimal evocative staging to the missions, this game is doing everything really well. I would pay good money for DLC for this game. I think that's the plan so I hope it comes to fruition. I'm definitely going to pick this up at some stage. Working through some backlog first so I'll probably get it around Christmas sale time, but I'm glad to hear people are enjoying it. Chris Remo had a lot of good stuff to say on Idle Thumbs. How detailed/complex is the simulation? IIRC, the original idea was that Enemy Starfighter would be a highly-detailed simulation, right down to individual switches in the cockpit. Which put it in the "I am glad to know someone is making this, but am not the target audience for it" category for me. If it ended up at something more like a Freespace 2 level of complexity, then I'm a whole lot more likely to enjoy it. The whole game fits on a 360 controller. It's less complex than TIE Fighter (no managing your shields), and definitely not Evochron. There's still room for Newtonian physics (fly one way, face another way), sending orders to your wingmen on the fly, and the tactical overview for more ordering, which I'm just starting to explore (you can order your mates to ram enemies!). Controls-wise, it very much wants you to jump in and bring death to the traitors; the complexity seems to lie in the fleet side of the game (load-outs, orders). Finished the final mission last night. Pretty epic although I will say the friendly AI is almost too good. In any given sortie I feel like I affect maybe 40% of the outcome. Much of the time I can direct my frigate and destroyers to attack primary targets while I work with fighters to clear out there escorts. And most of the time, barring any freak accidents, this is a foolproof strategy. I don't even bother going for the escape pods anymore! I'm looking forward to diving back in. I'm still getting over the sadness at the loss of what once was Enemy Starfighter, but I hope to put it behind me. So what was Enemy Starfighter that House of the Dying isn't? Other than the name. Enemy Starfighter was a reactive space combat game in which you had an open map, and you took your fleet from one objective to the next. Different objectives had different rewards, and it was up to you as to which order you handled them in. You could slowly build a fleet of fighters and cap ships as you eventually decimated the enemy. It was dynamic, it was fluid, it was unexpected, and it was, above all, JOYOUS. House of the Dying Sun, while retaining the excellent combat of Enemy Starfighter, is an entirely linear affair, the variation coming from varying difficulty levels rather than an open map. From what I've played, it's far less than the game I was originally excited about, and I'm still sad about what was lost. I'm gonna try to be as objective as I can when jumping back in to play 1.0, but my excitement is very tempered. Really? I get motion sick super easily but this game doesn't bother me for some reason. I assumed it was the cockpit. Are you doing a lot of barrel rolls? "Fox, Do a barrel roll!" So what caused the change in scope? Was it just a budget issue? Very, very small team. The scope is just about perfect for the size of the dev team. The Enemy Starfighter version described by Veloxi sounds sweet, for sure, but we'd be getting that game much later, if at all. Was thinking it when I was writing it. For me I did find that "VR Legs" is a real thing. I've put about 45 hours into Onward now and get no motion sickness at all, but it made me queasy the first time. Is it VR only? If not, would it drop to a "not recommended" to a non-VRer? I thought the early videos looked good.